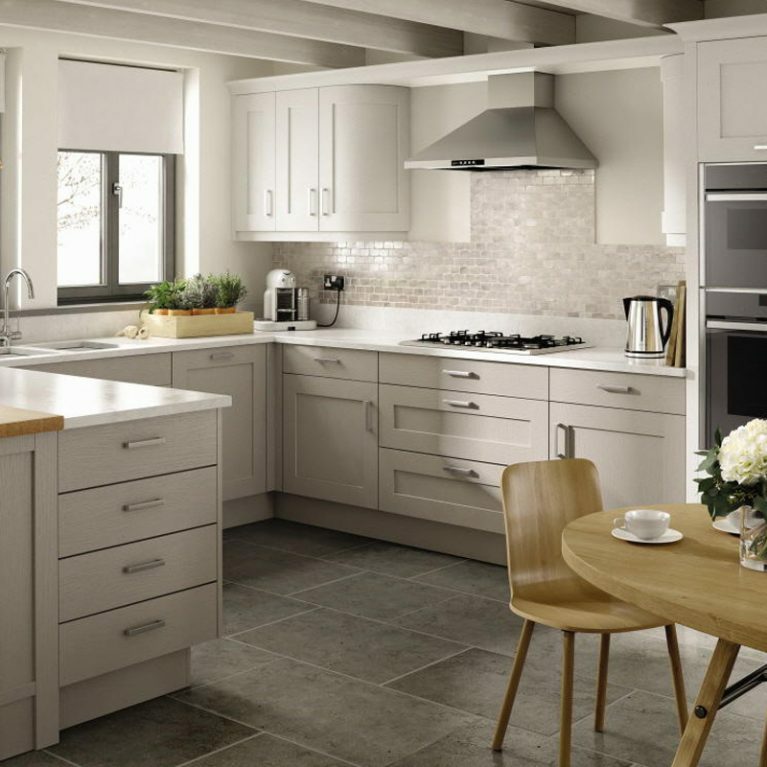 Classic kitchen designs don’t get much more impressive than the Milbourne Stone, one of the most stand-out and stylish kitchens available for you to purchase today at Number One Kitchens. 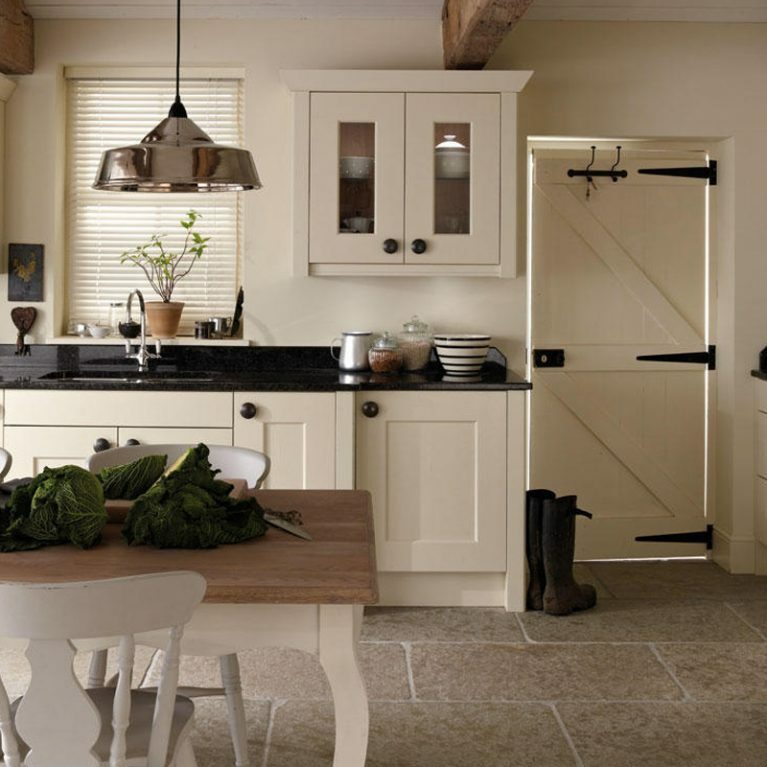 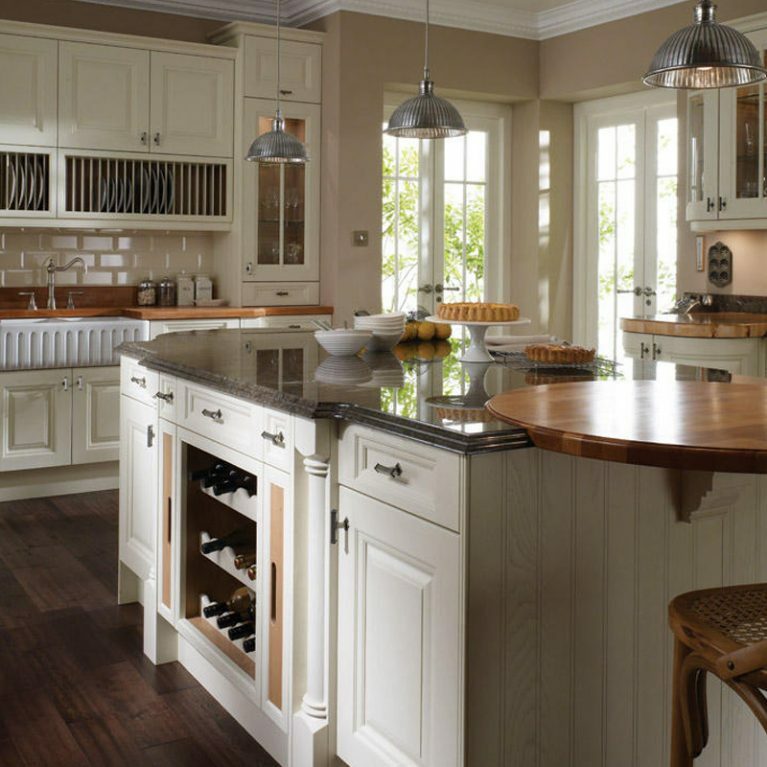 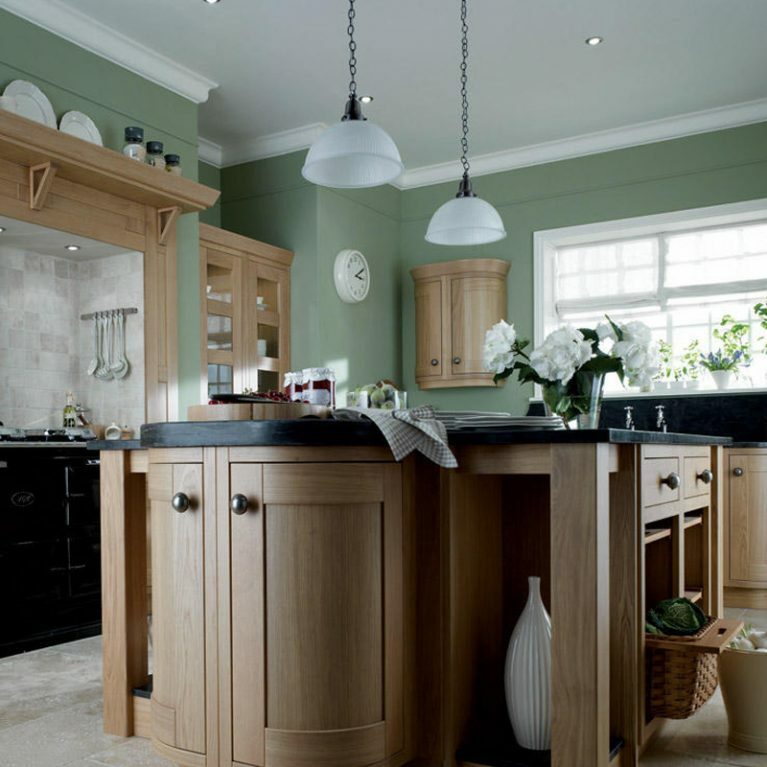 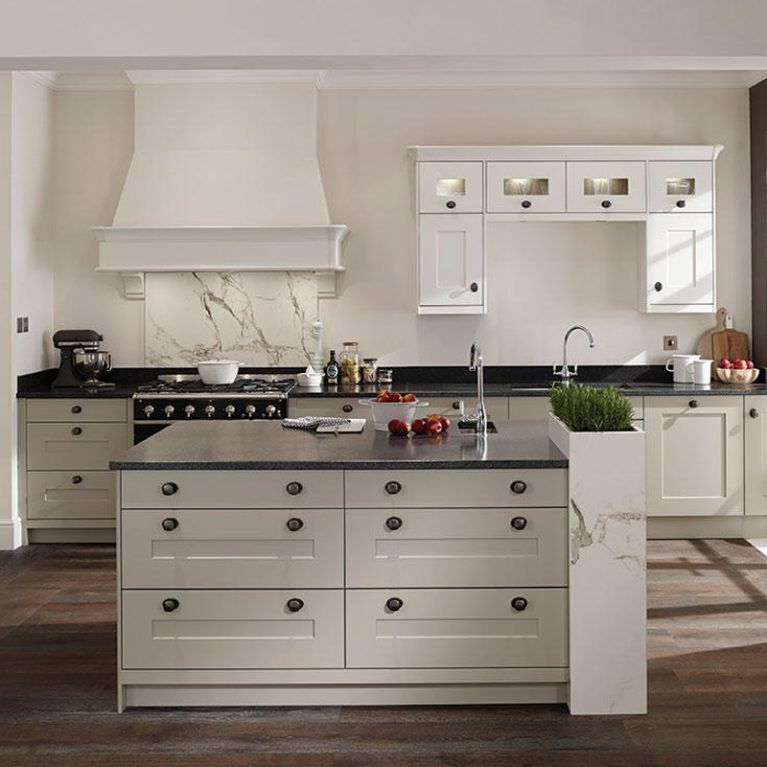 This remarkable neutral Milbourne kitchen is a classic shaker kitchen, making the most of your kitchen space and creating a multitude of storage opportunities in a slick and seamless fashion. 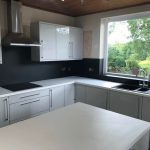 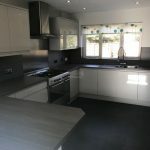 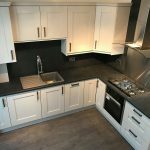 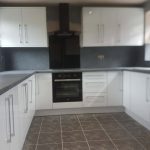 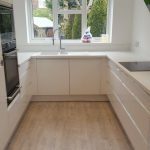 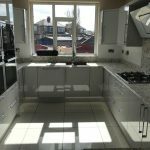 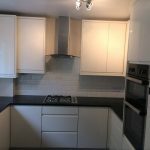 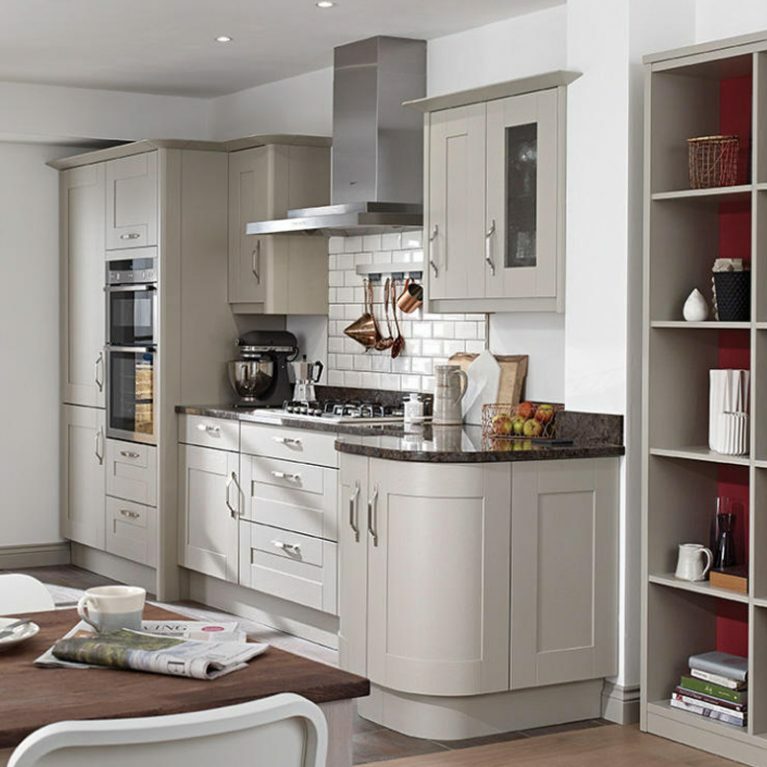 As you can see from the pictures, the Milbourne Stone classic kitchen truly utilises your space, creating an open plan kitchen with storage on both sides of the room. 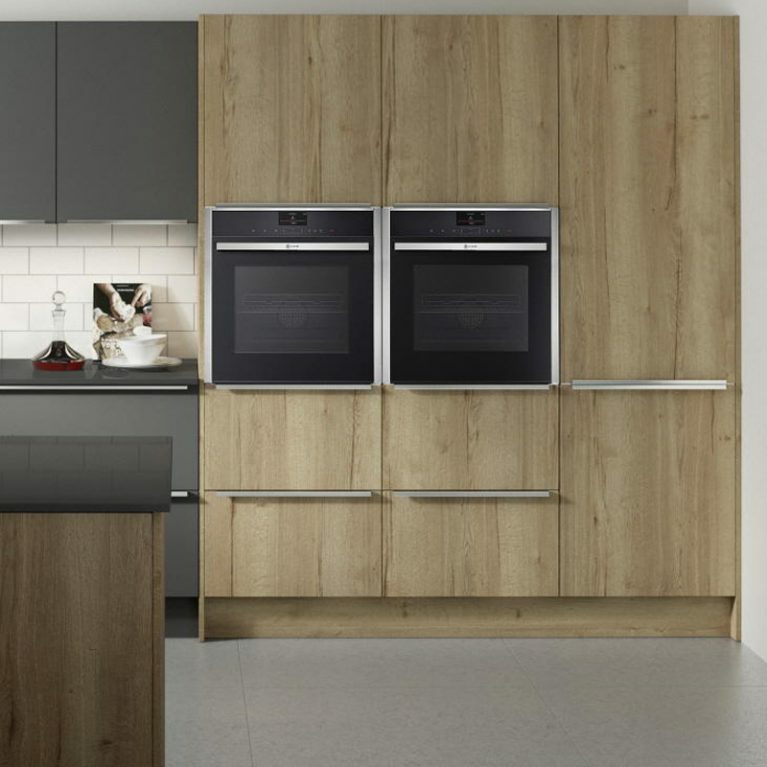 Upper and lower cabinets and drawers are available, with built in sections for your oven appliances to create a cool and contemporary finish. 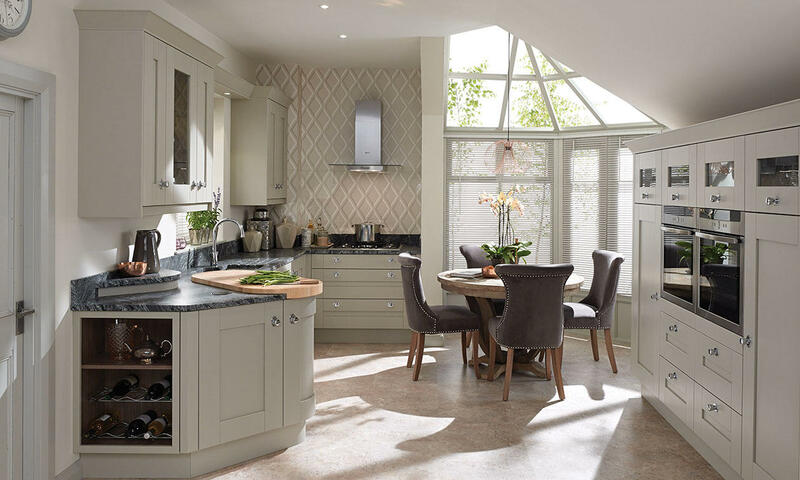 The curved doors allow your Milbourne Stone kitchen to perfectly meet the dimensions of your space, promising an aesthetically beautiful kitchen no matter what space you have to play with. 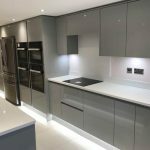 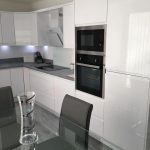 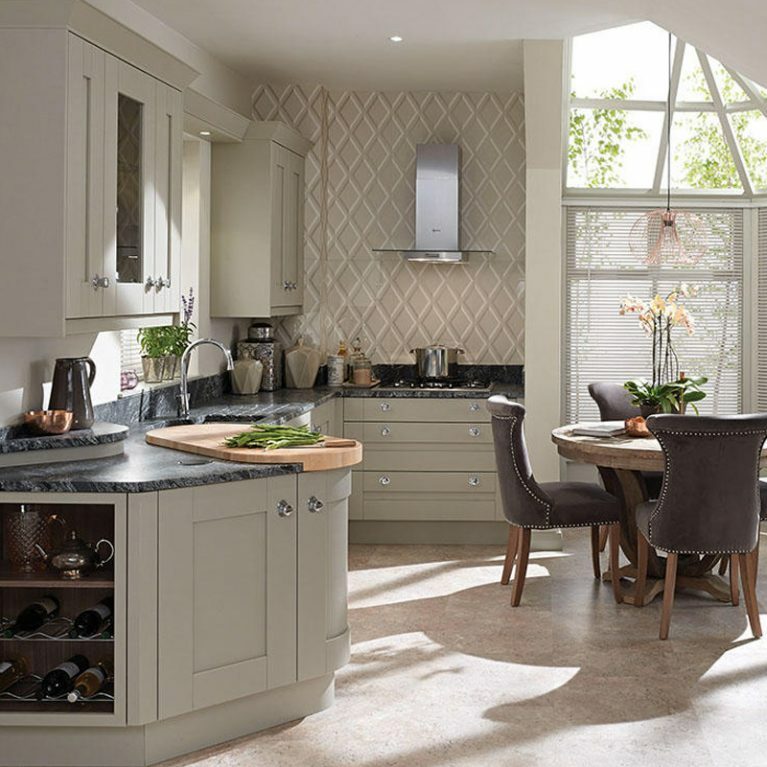 Clear glass panelled cupboard doors are dotted throughout the kitchen design, to create a fabulous feature of your cupboards and show off some of your most favourite kitchen accessories. 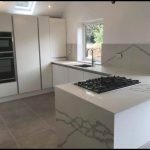 Combine this with the gorgeous granite work surfaces and you’ve got a beautiful kitchen design which will stand the test of time. 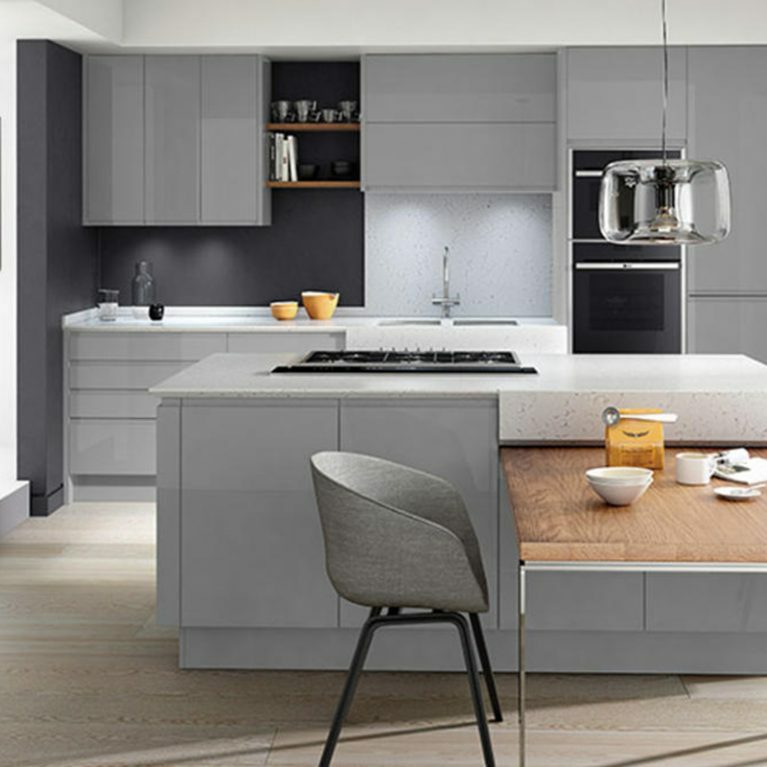 Granite is a textured and striking material which blends perfectly with the neutral hues of ‘stone’, chosen here for the majority of the kitchen space. 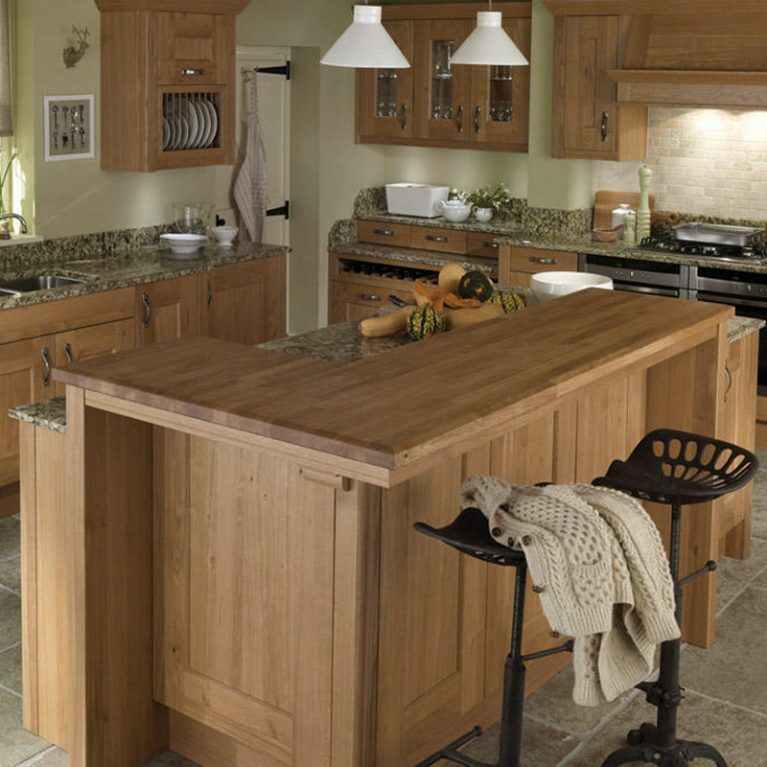 You can see a gorgeous timber section in the work surface here, creating a stunning area for food preparation and entertaining. 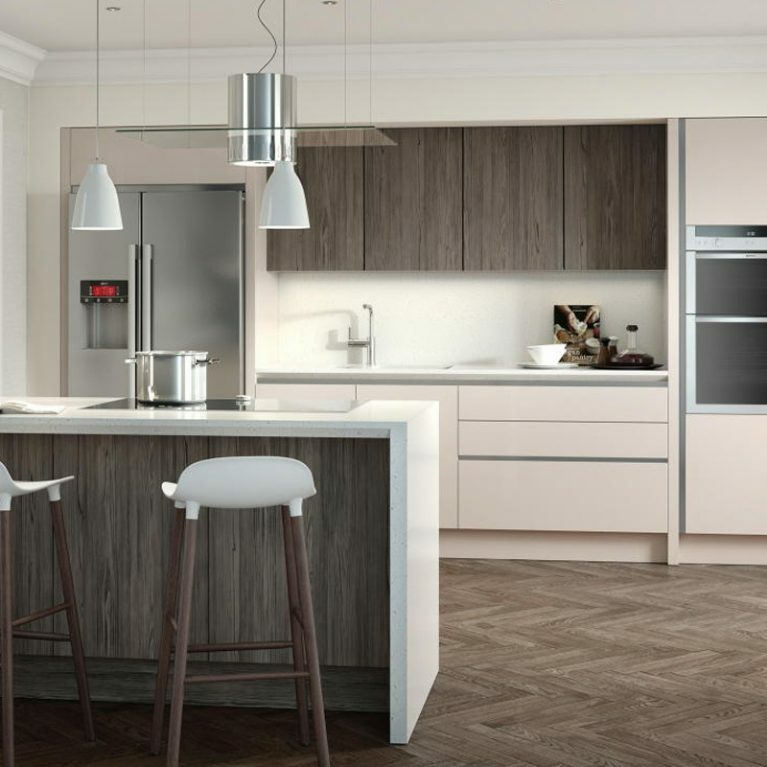 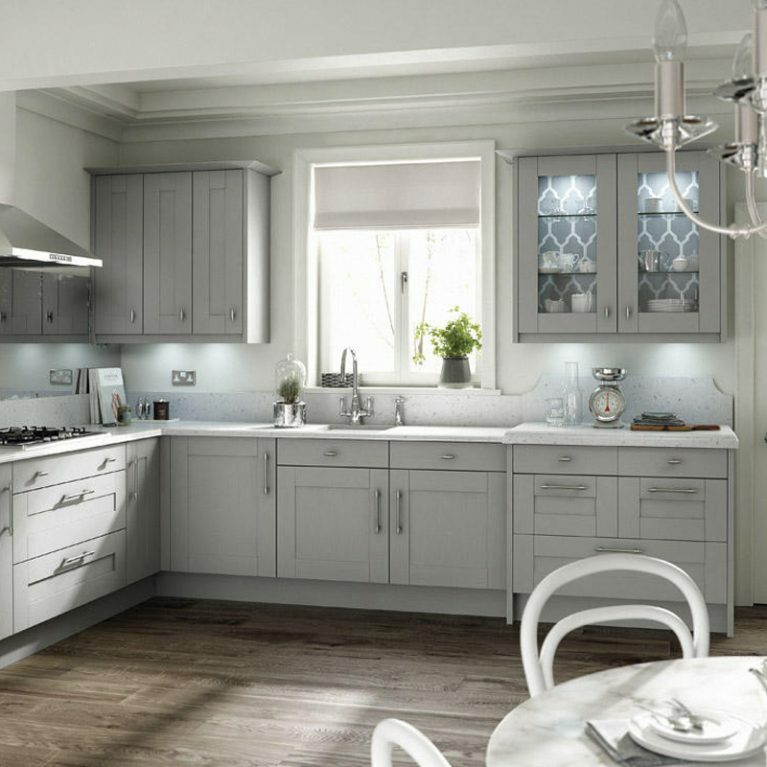 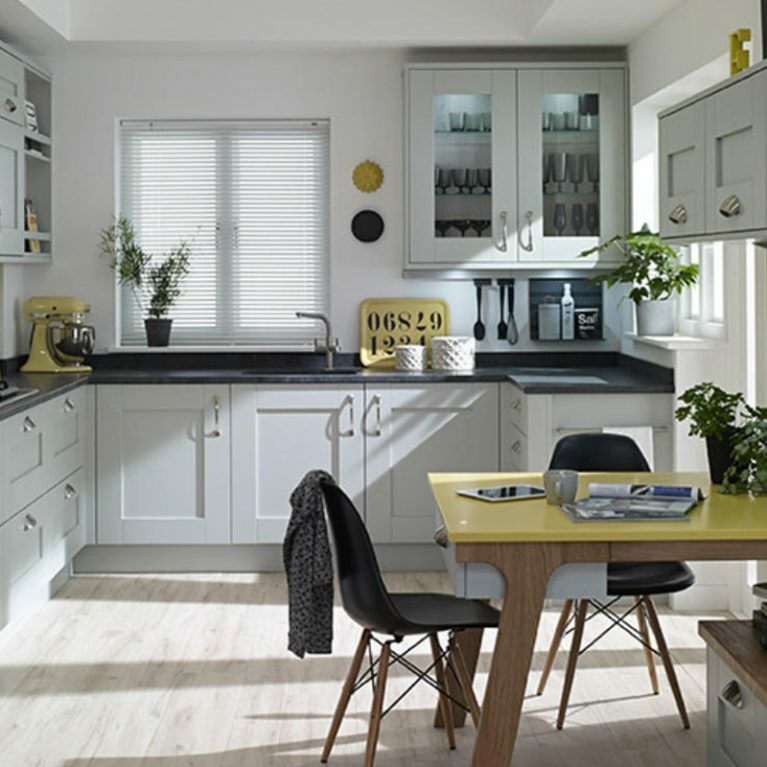 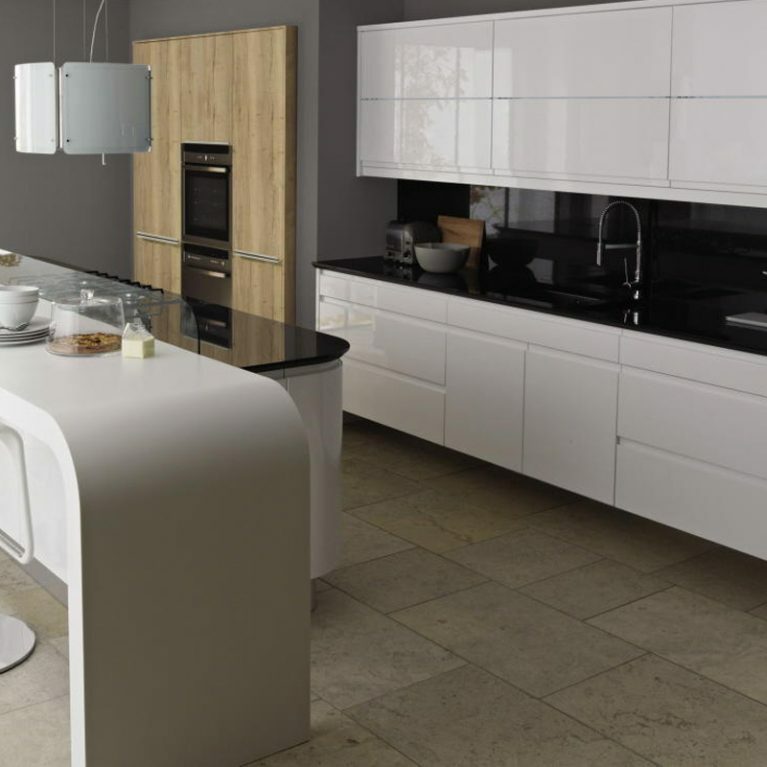 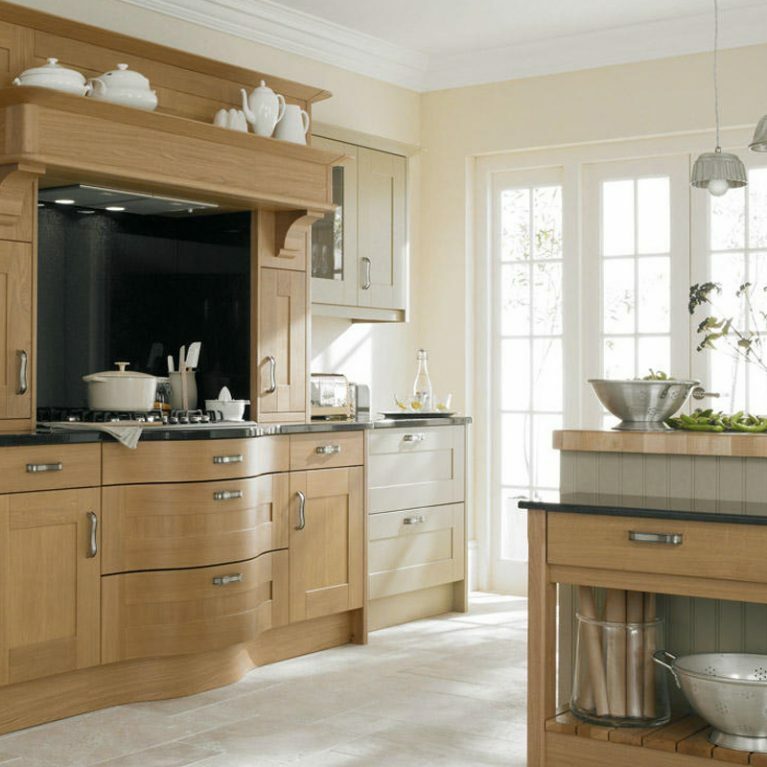 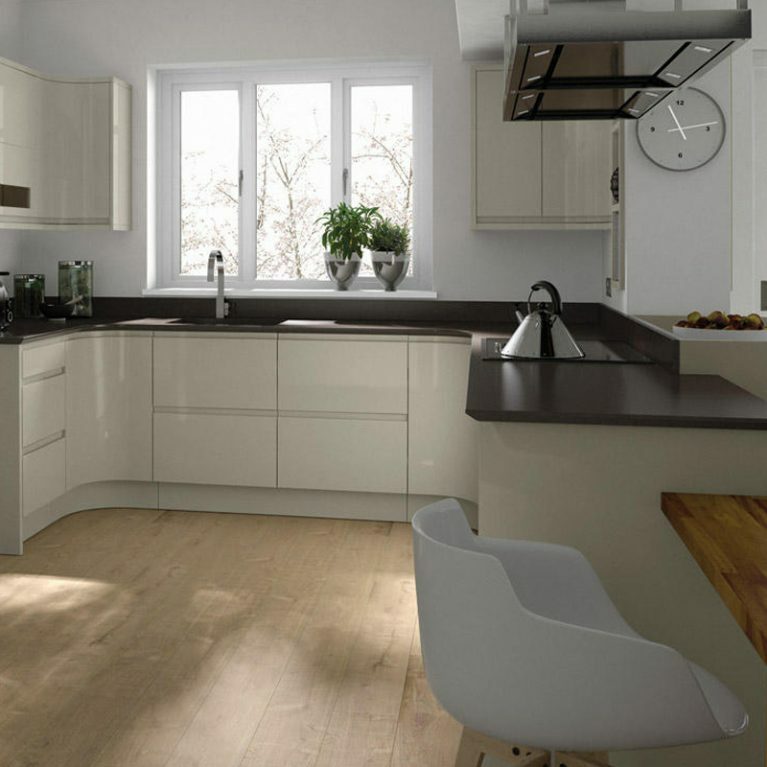 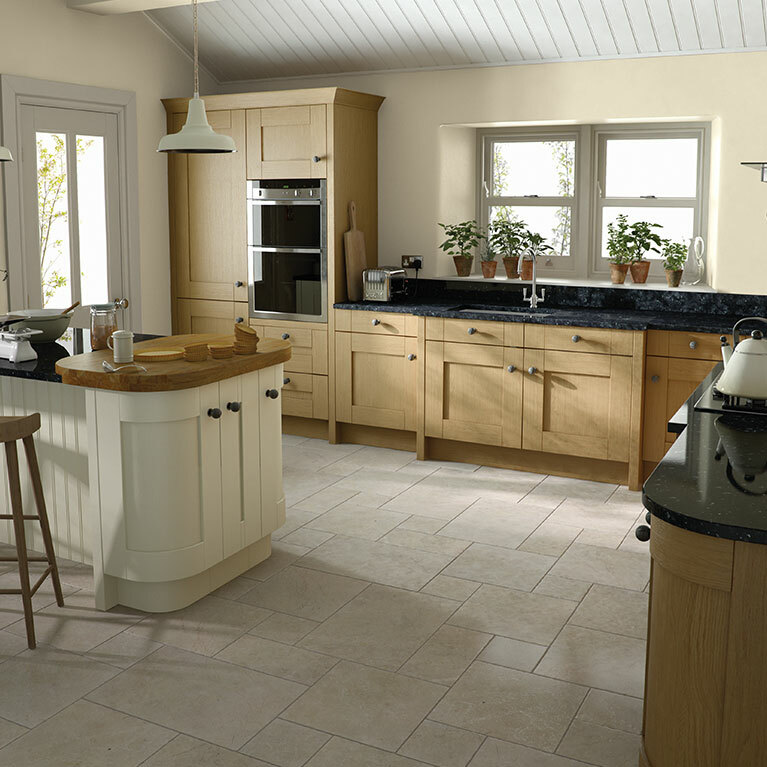 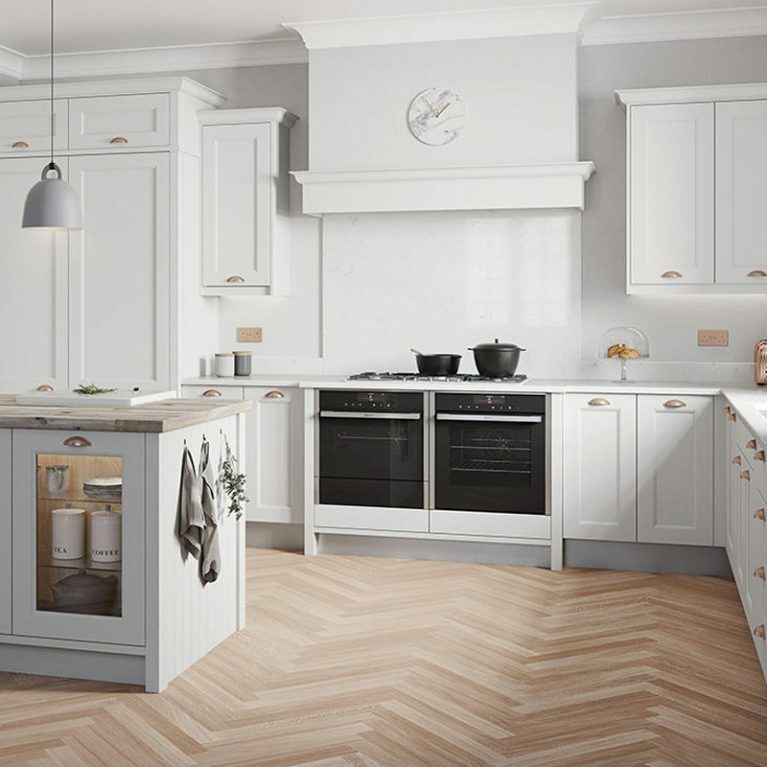 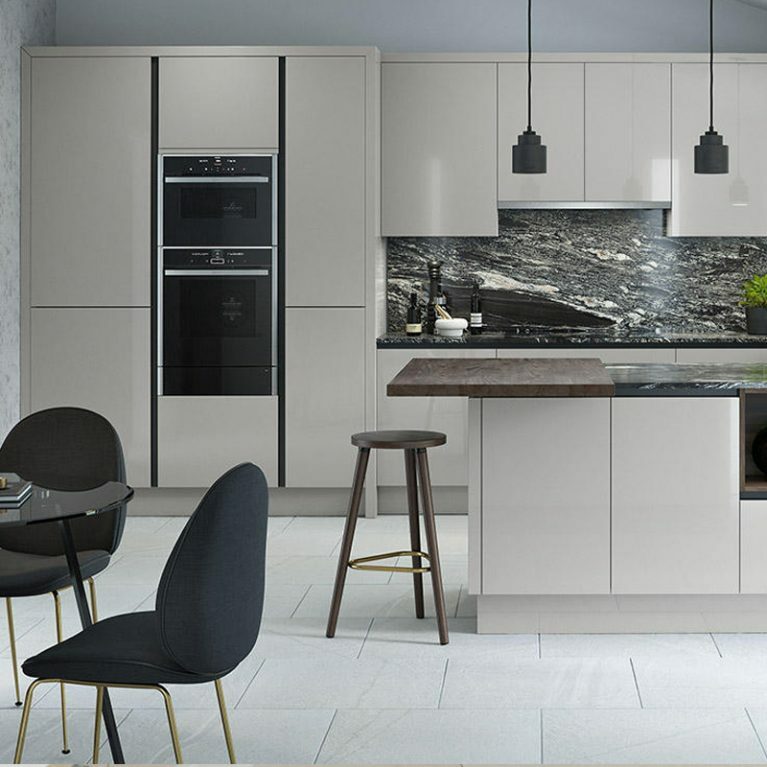 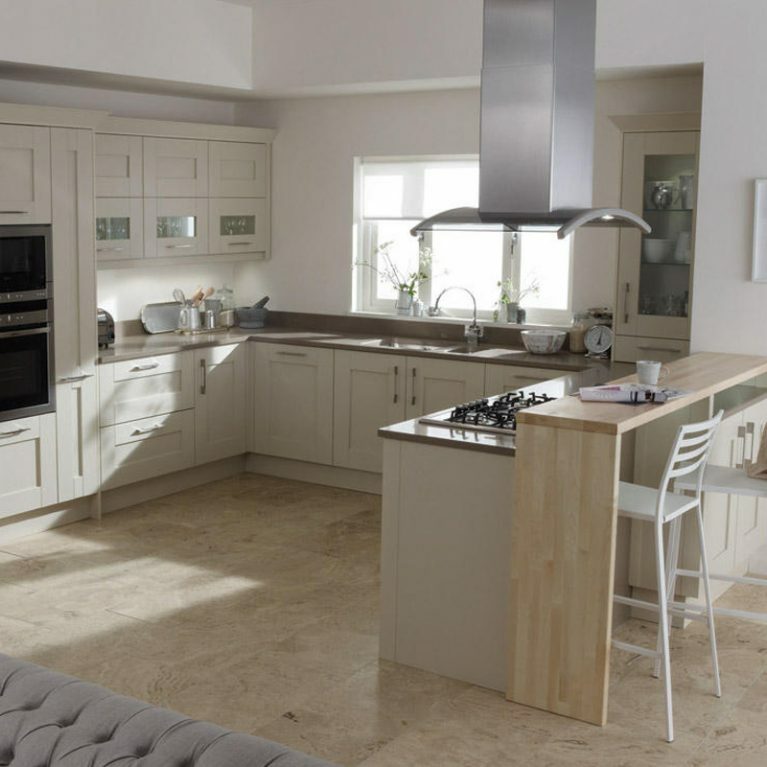 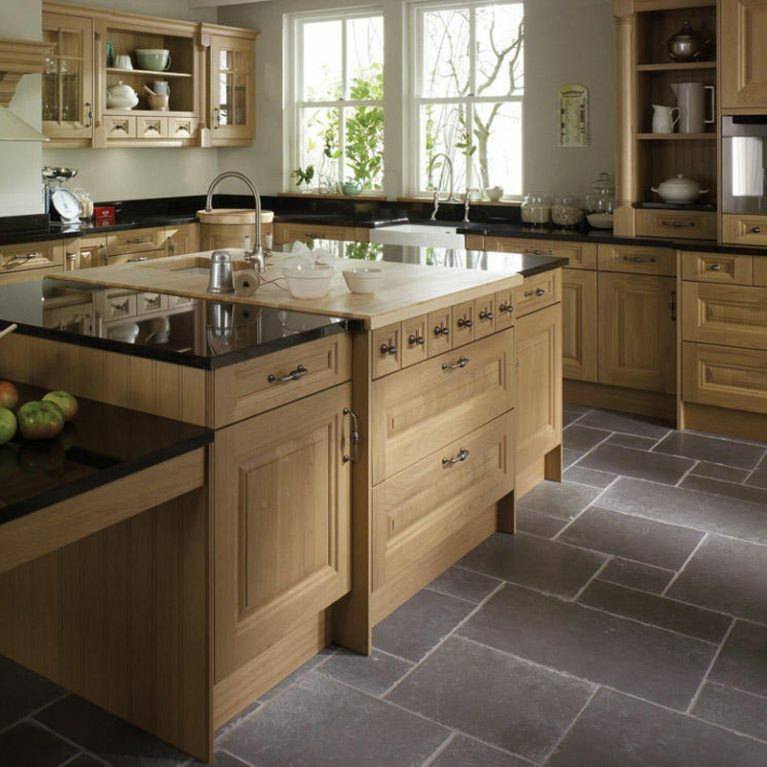 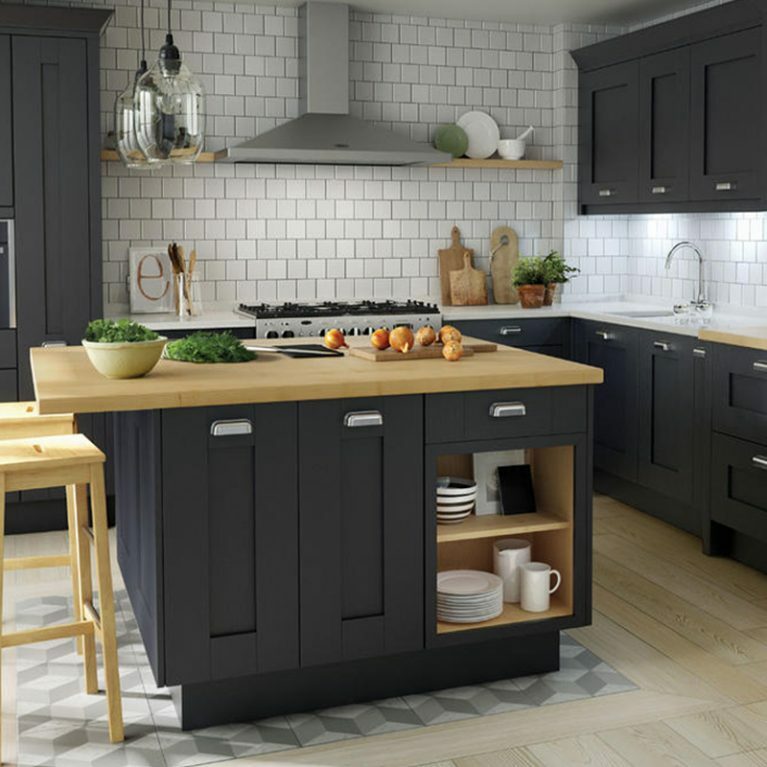 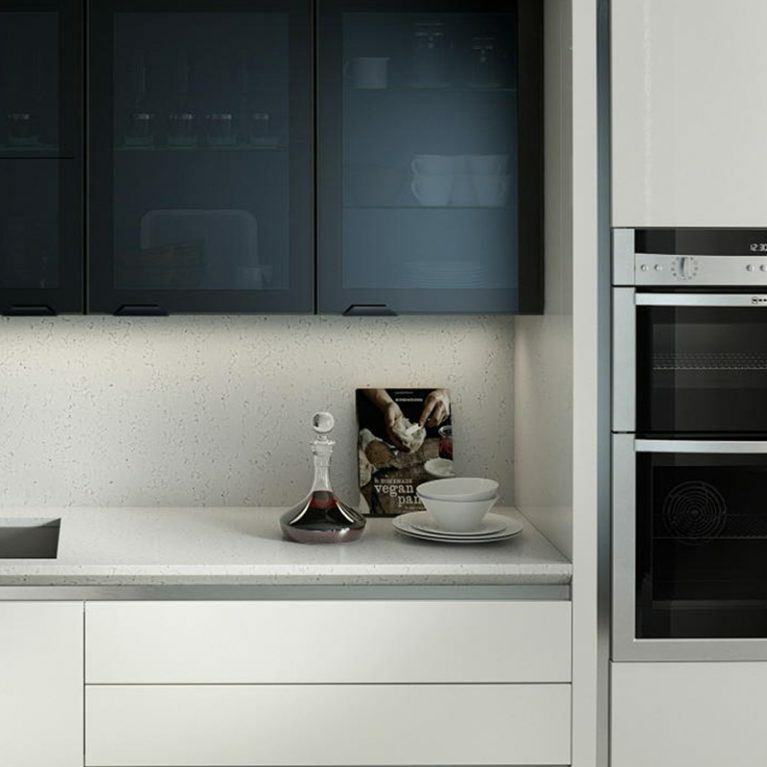 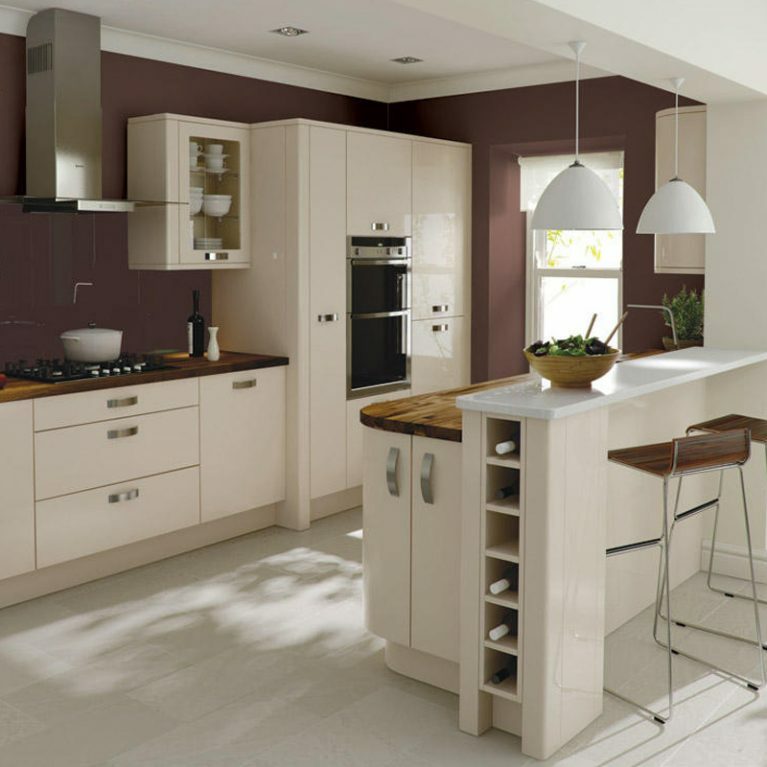 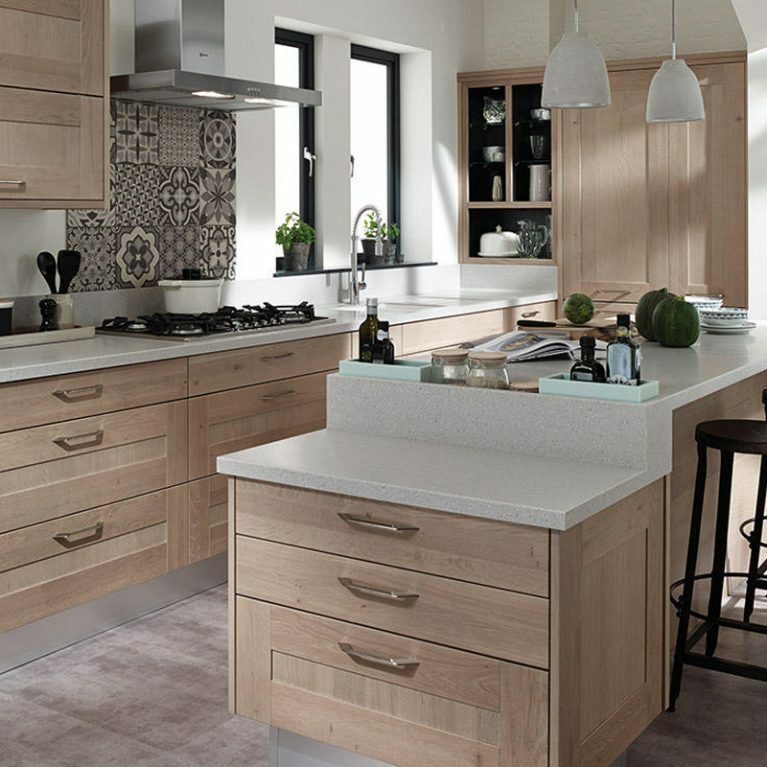 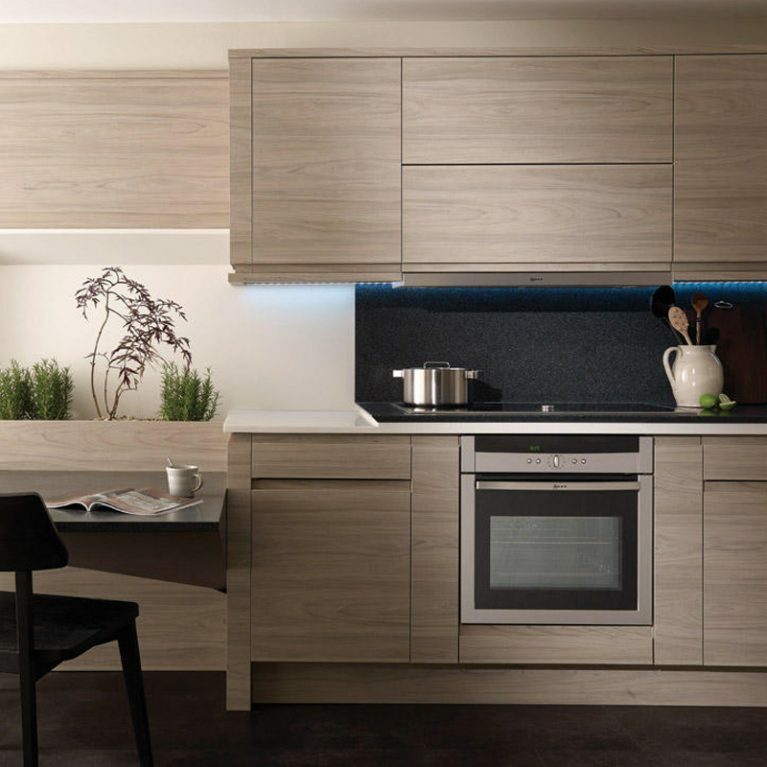 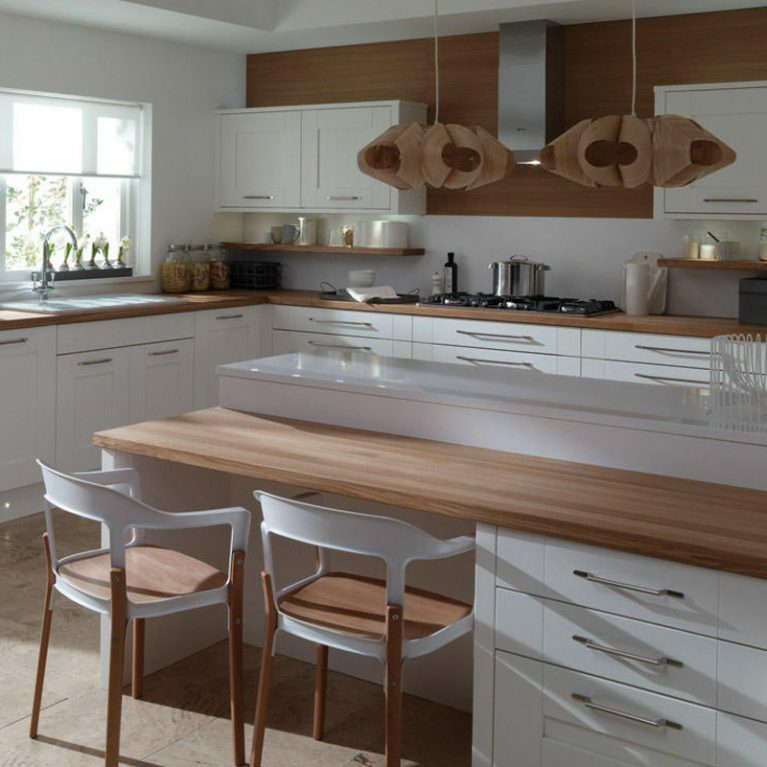 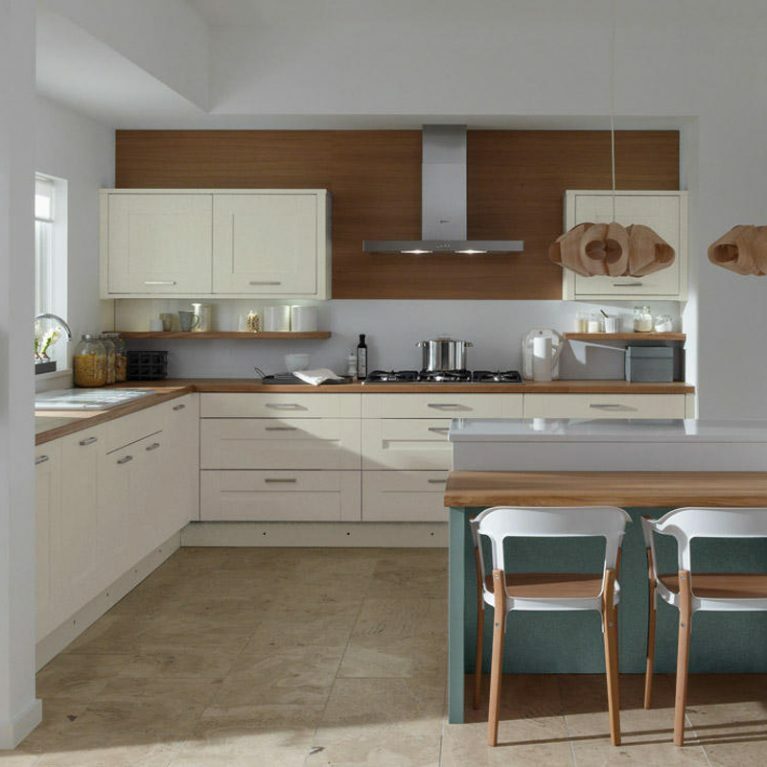 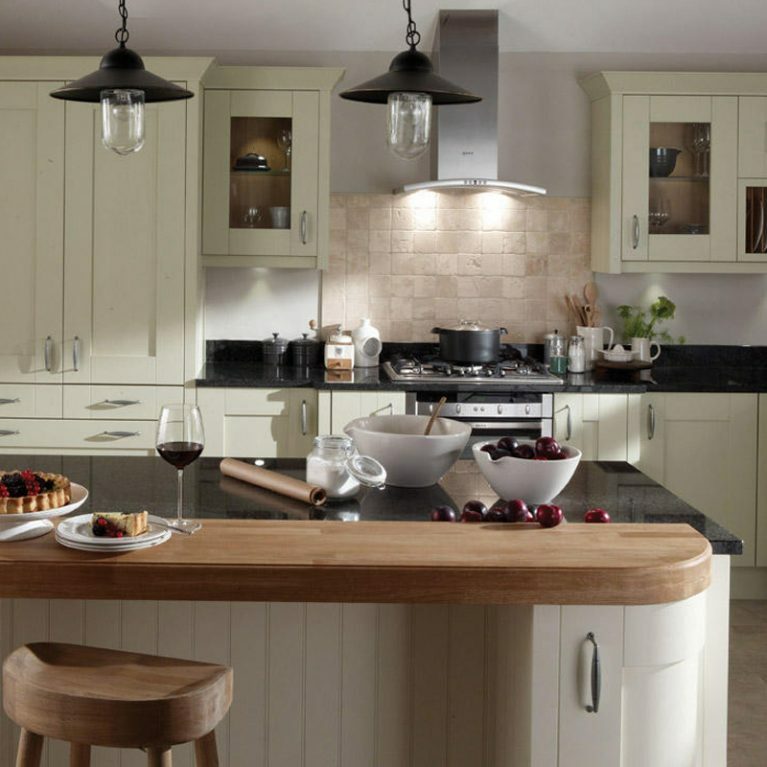 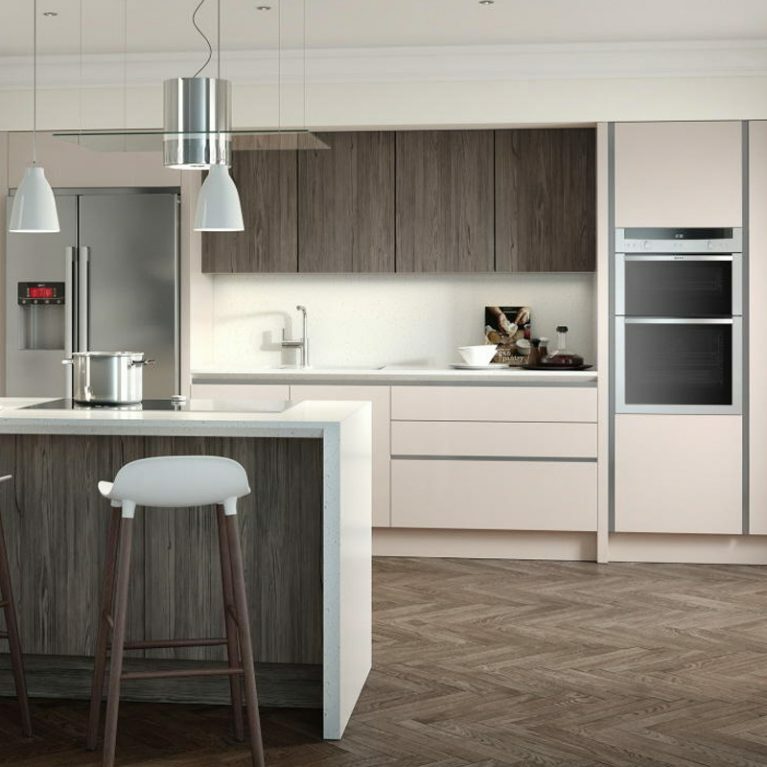 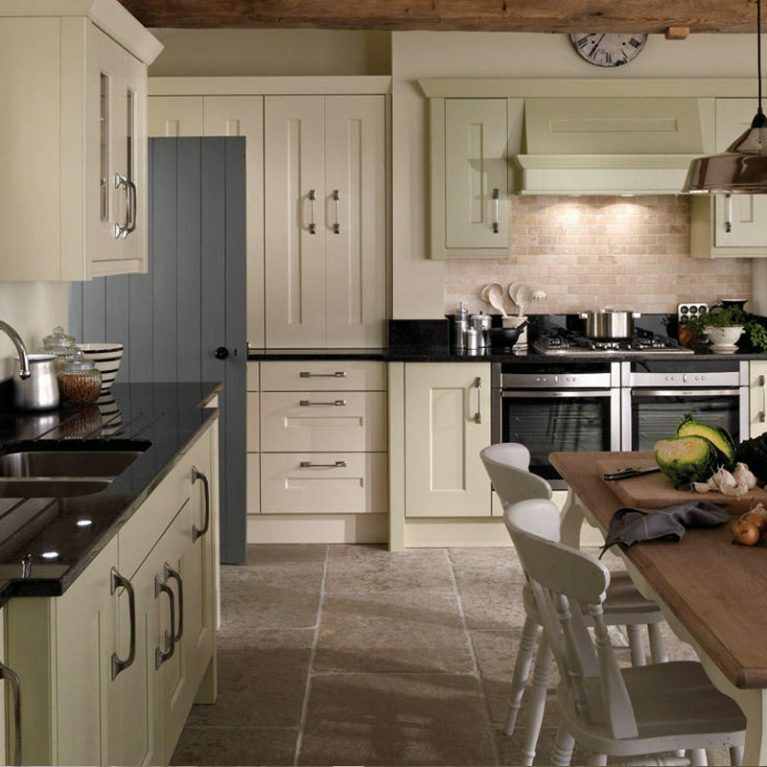 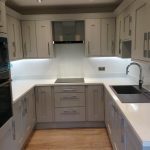 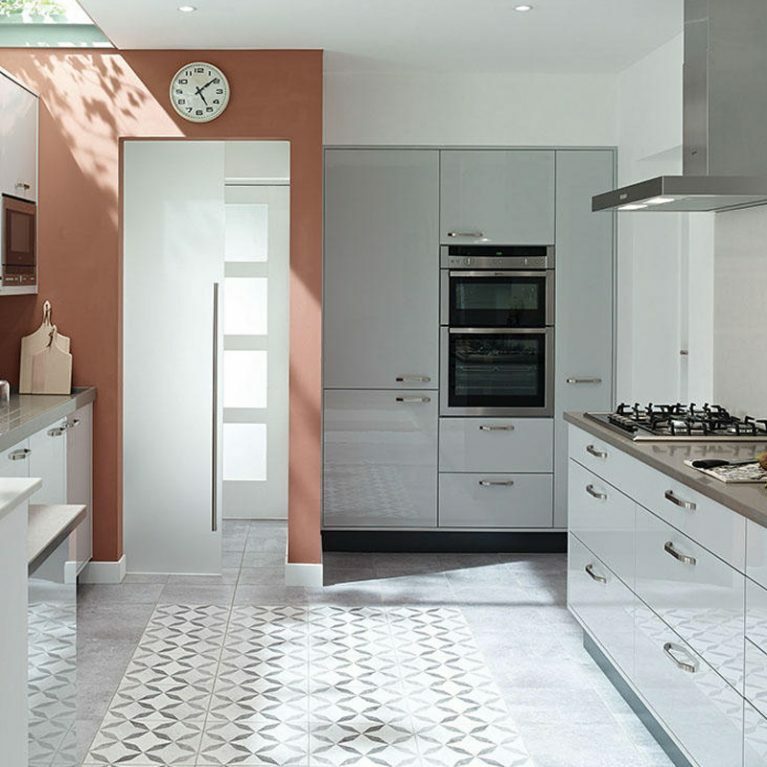 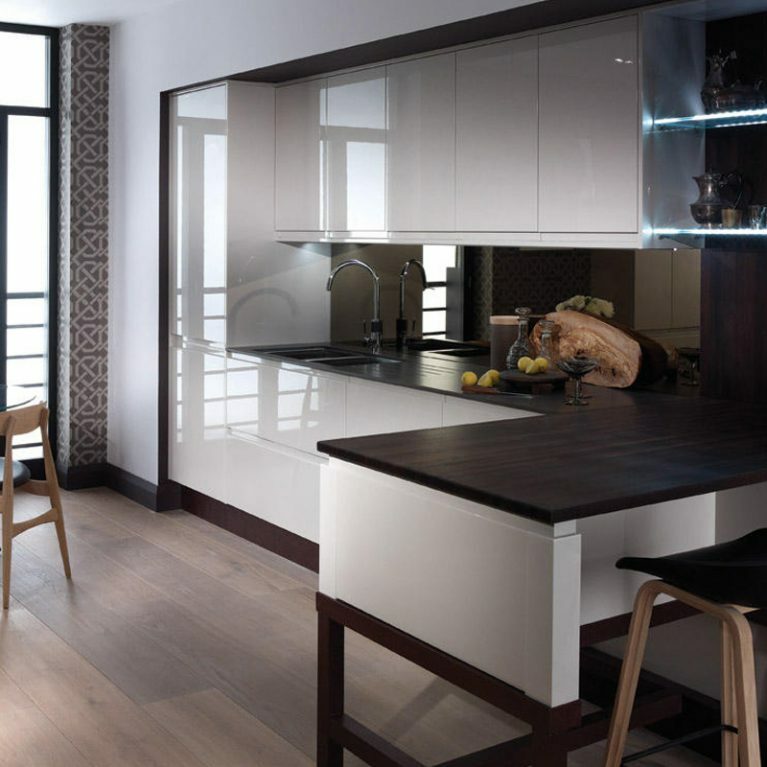 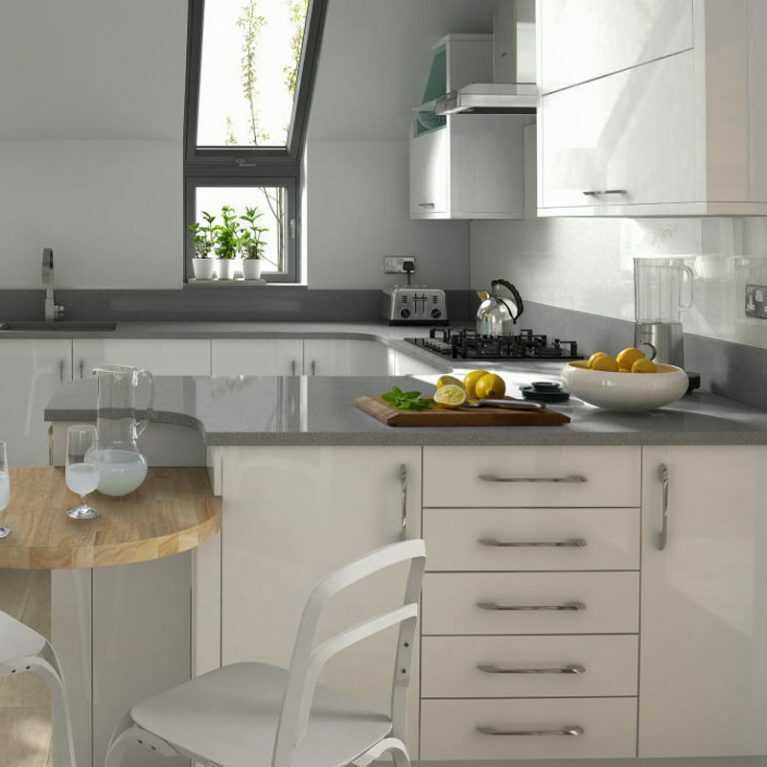 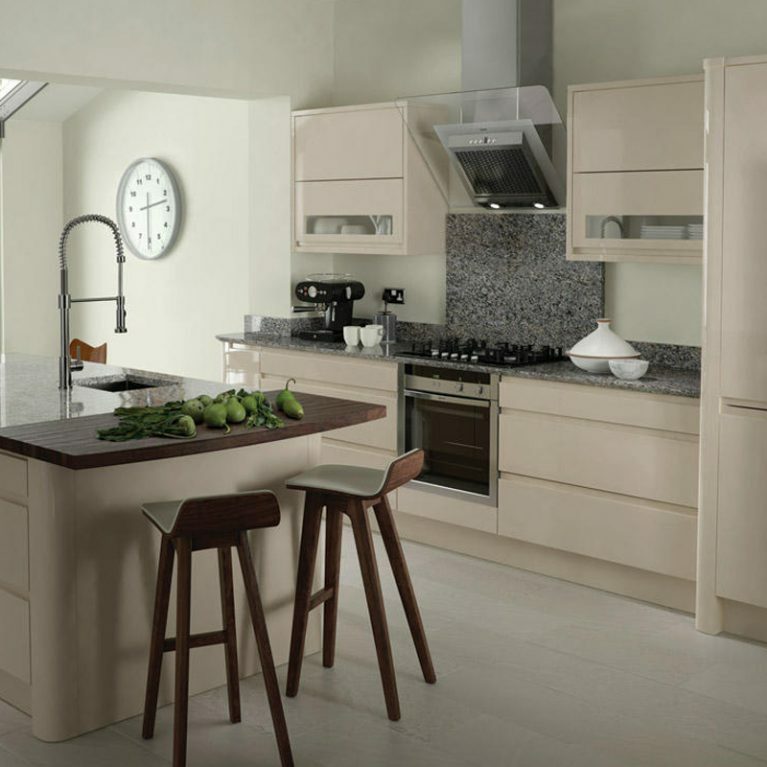 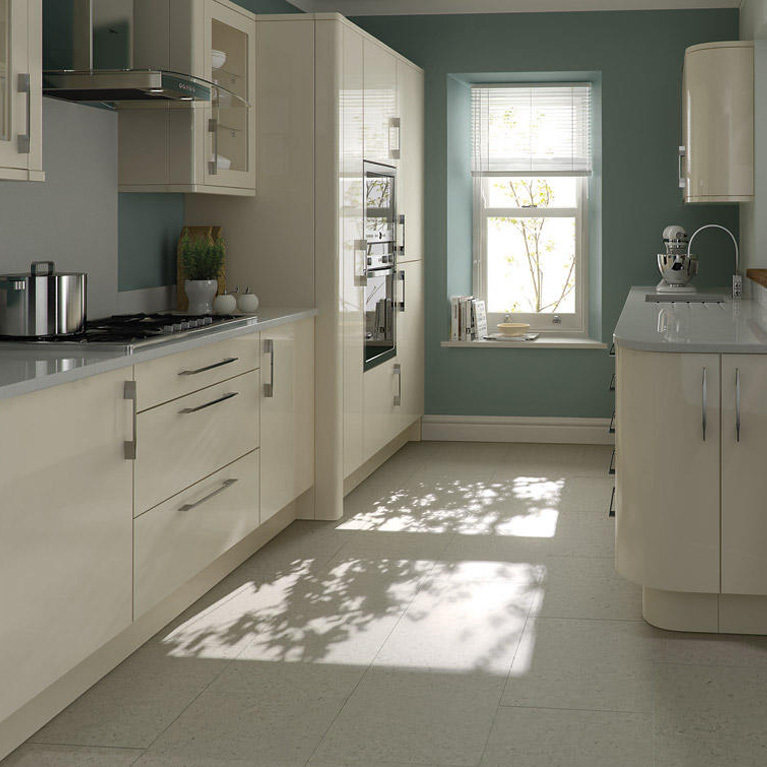 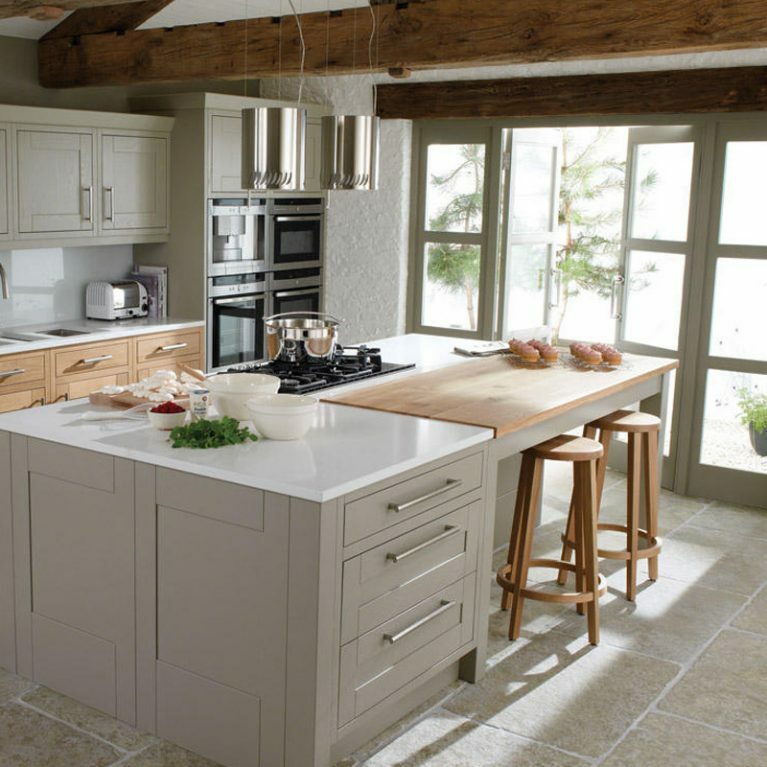 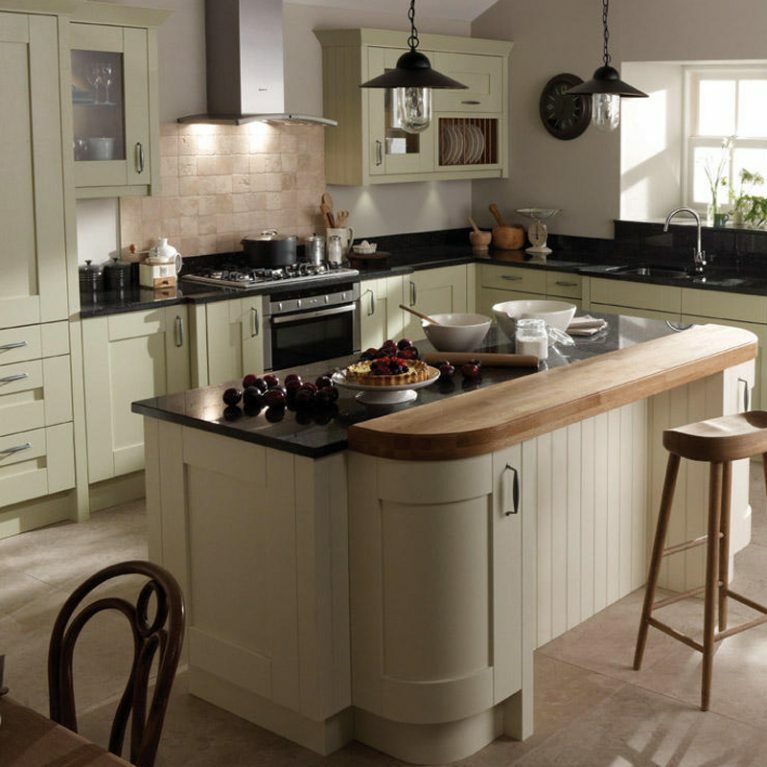 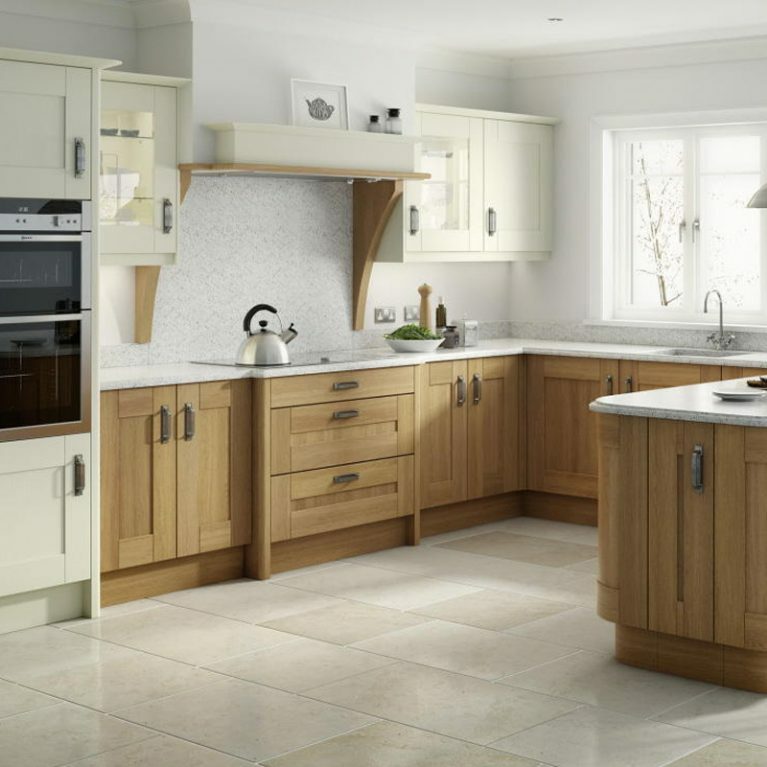 As with all of Number One Kitchens’ beautiful kitchen designs, the Milbourne Stone classic kitchen is completely customisable to meet your needs. 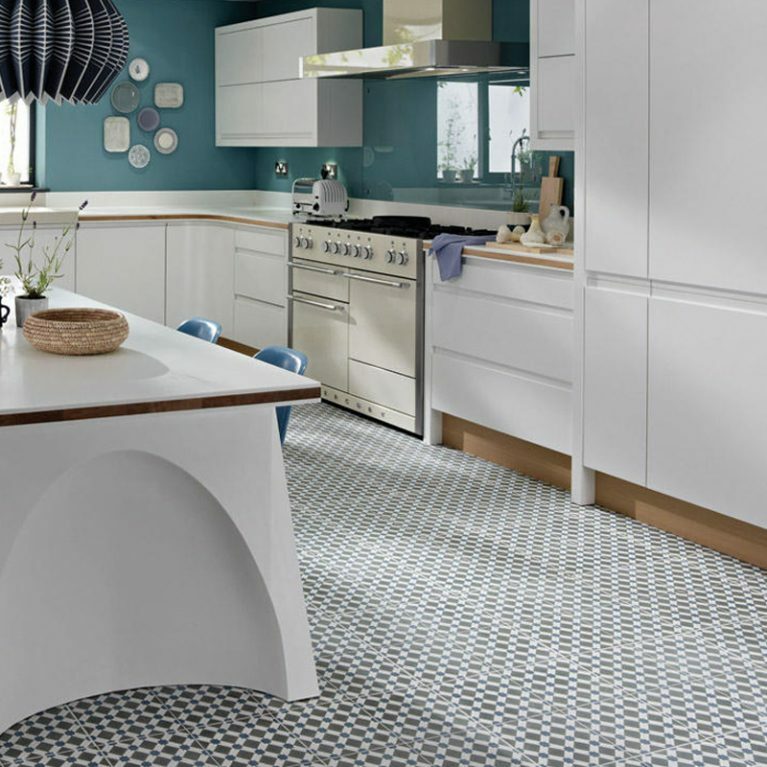 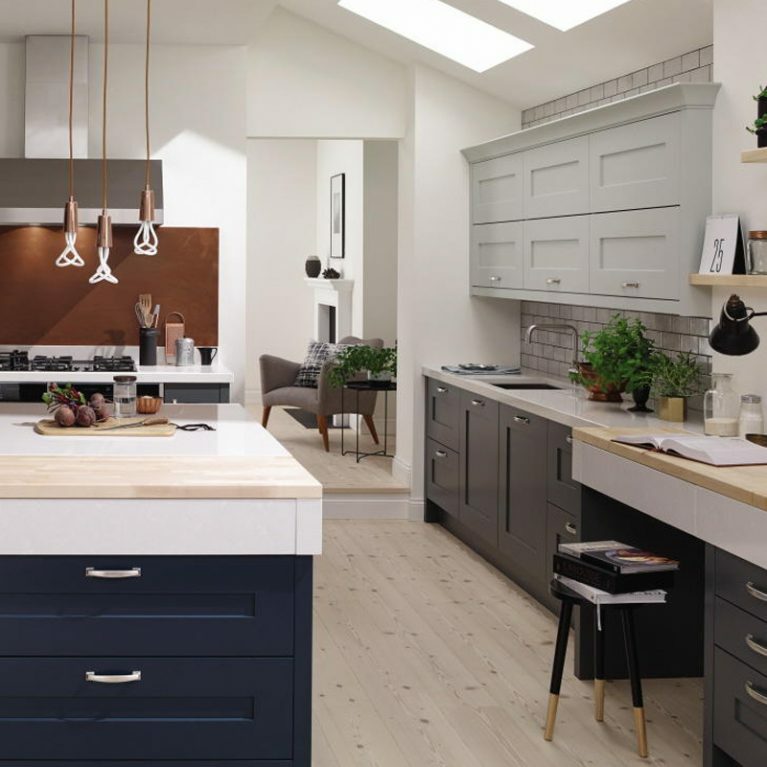 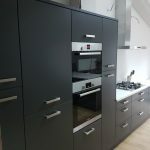 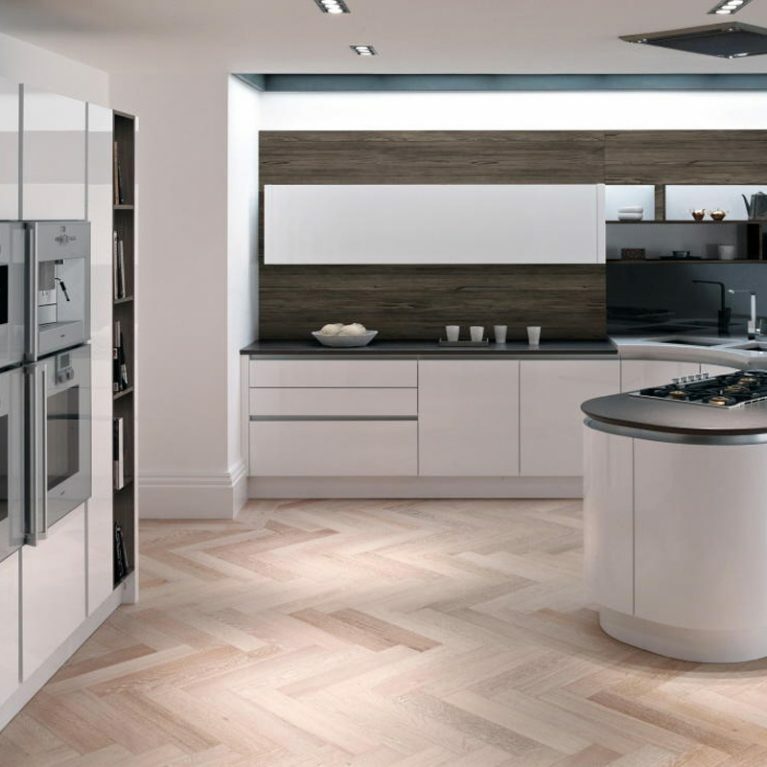 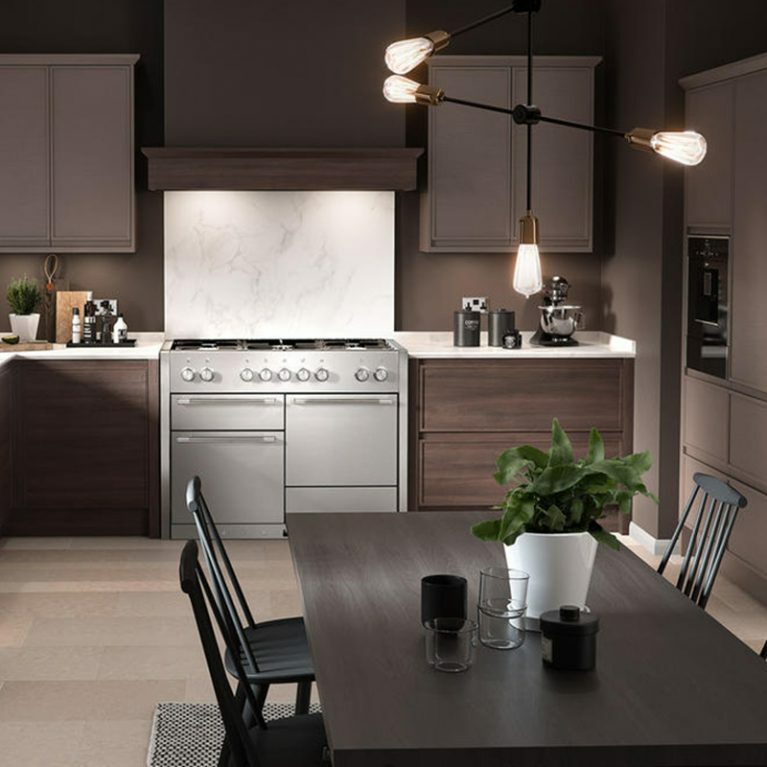 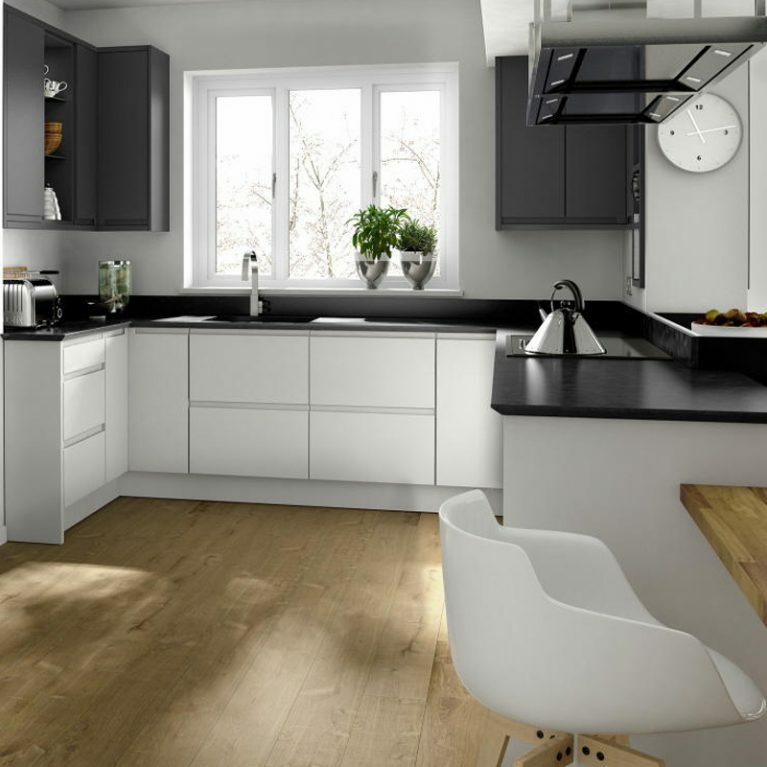 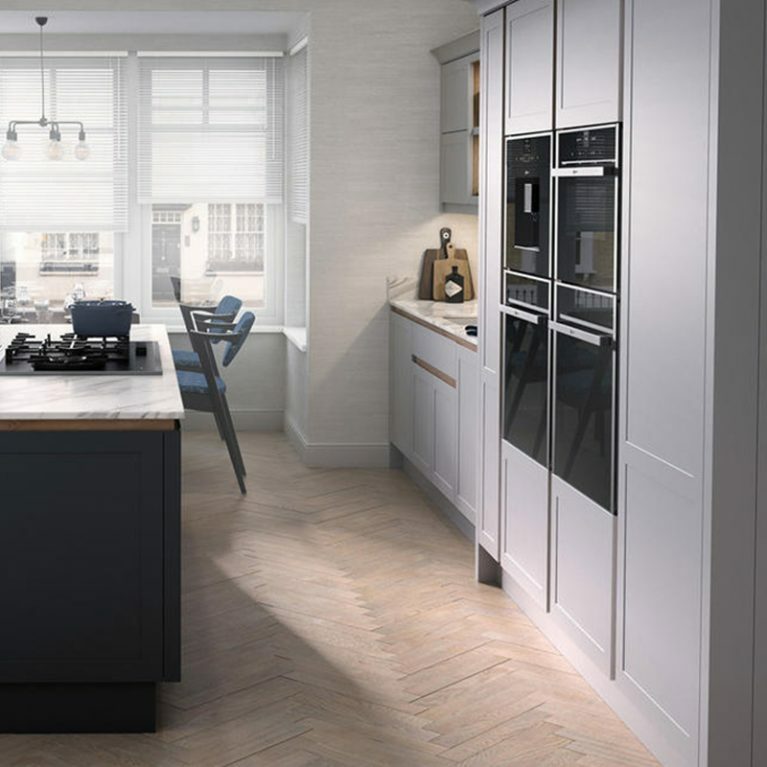 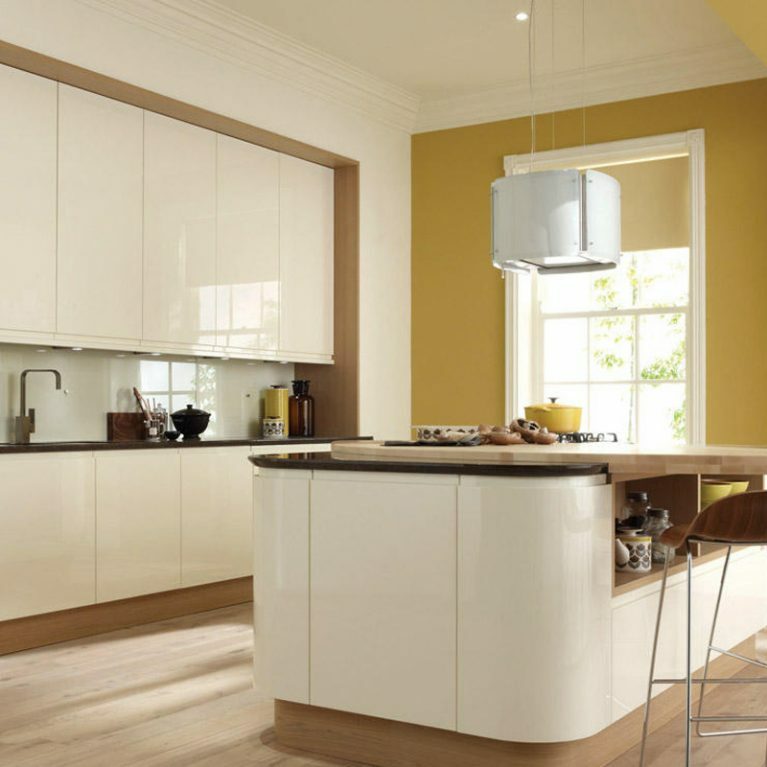 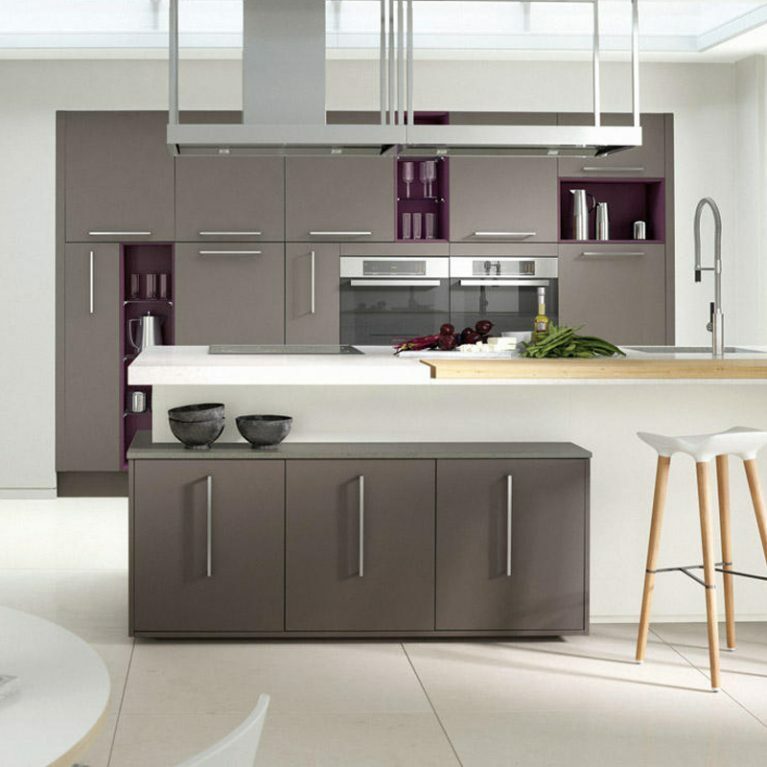 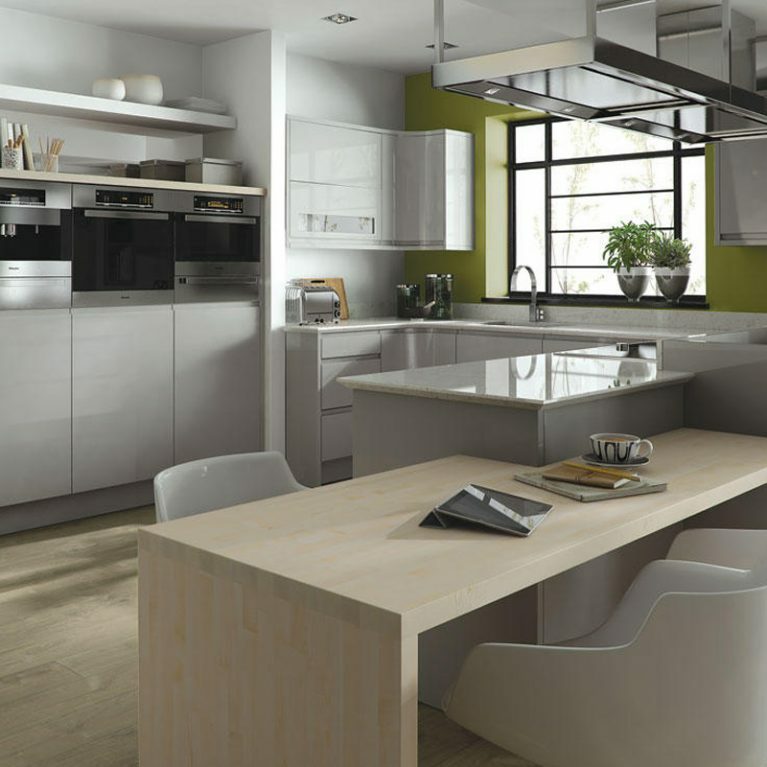 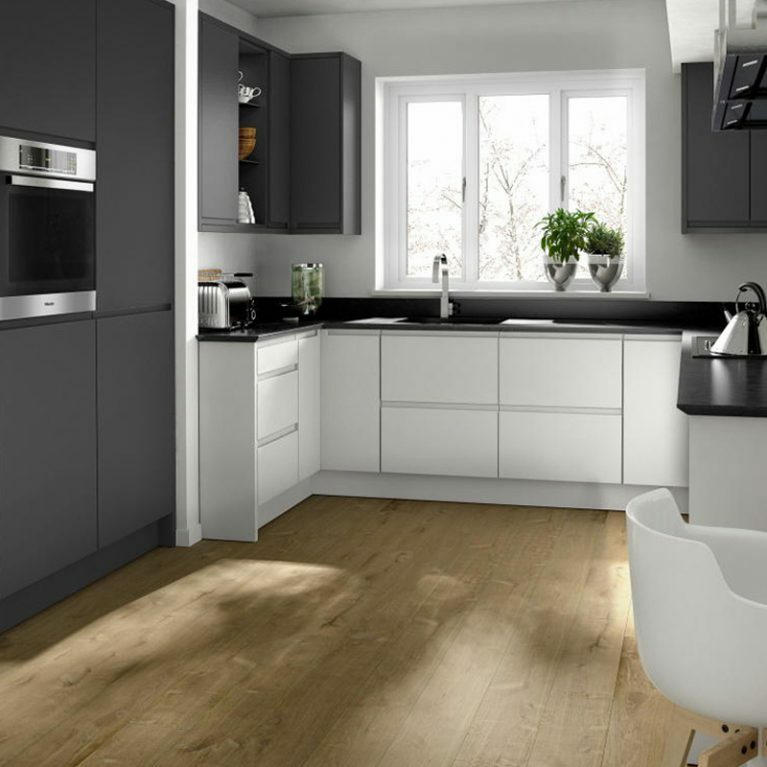 With a host of 27 different matte paint shades available to choose from, you can design the kitchen of your dreams and Number One Kitchens can help bring those dreams to life. 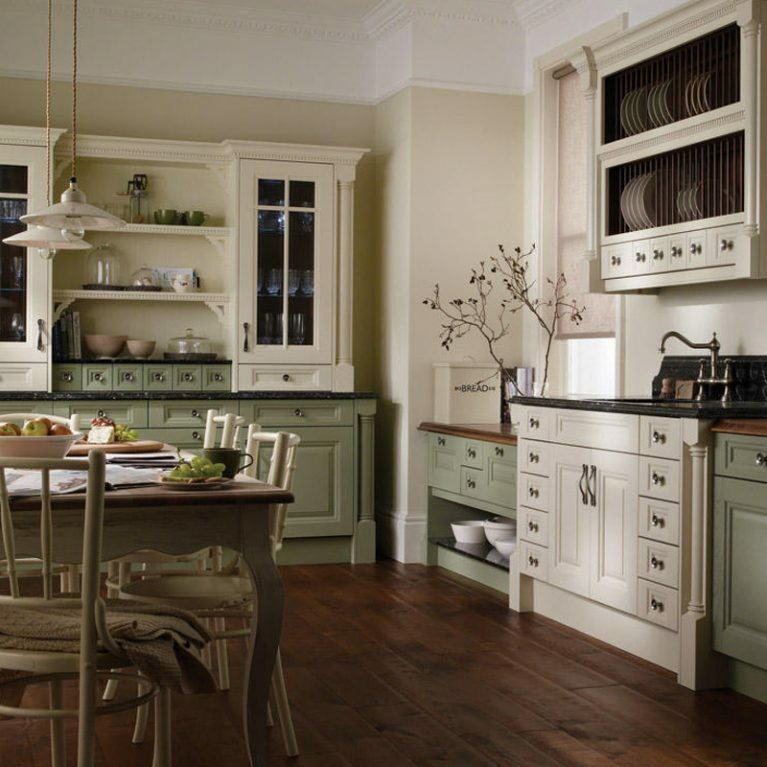 Why not experiment with a couple of shades to create a unique and stylish end result?